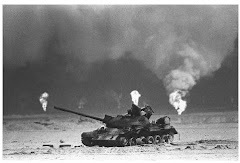 Ted Zuber, himself a veteran, was Canada’s official artist during the Gulf War, which ended on Feb. 28, 1991. Twenty-five years later, he reflects on what he saw. 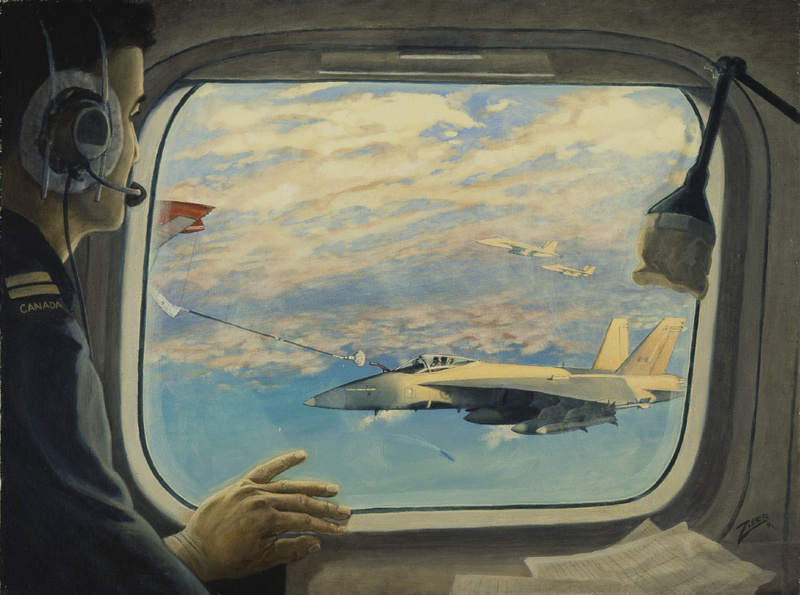 "Long Day at Doha" — one of Ted Zuber's canvases capturing the experience of Canadians fighting in the Gulf War. 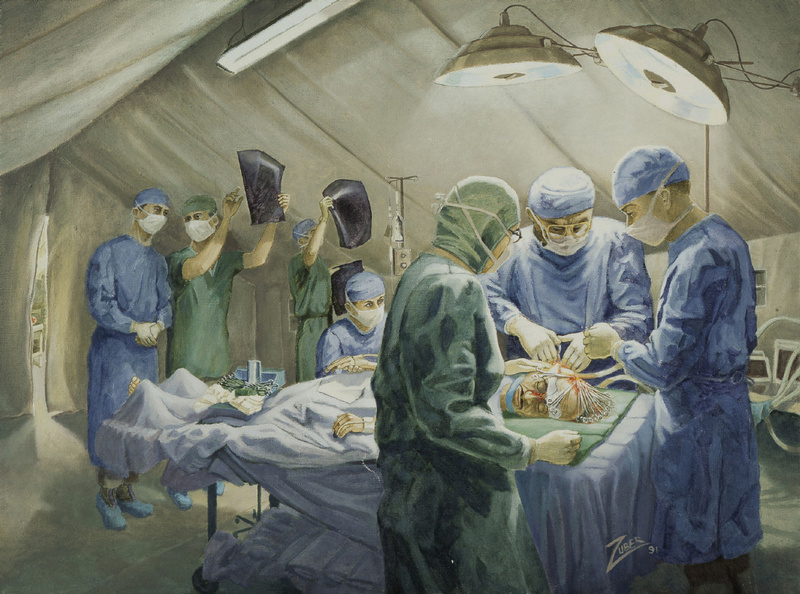 His paintings are now in the collection of the Canadian War Museum. 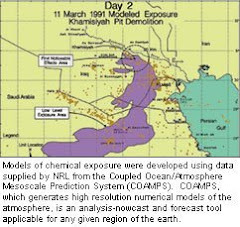 He was in his late 50s when Saddam Hussein invaded Kuwait 25 years ago and says he must have been the “oldest bugger” in the Gulf. 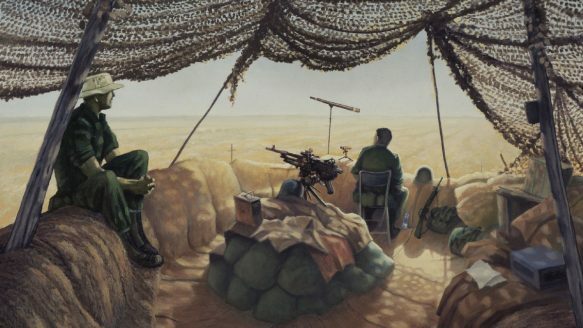 Dressed in a uniform, with the word “artist” on each shoulder, he surveyed the scenes in the bustling Canadian outposts in the Middle East, his paints and easel at the ready. So he’d explain, and watch as troops “grew an inch” when they realized the Canadian government had sent him there to record their lives for posterity. It was Canada’s first war in nearly four decades. “They were really proud that Canada had thought enough of what they were doing to have it portrayed by a war artist,” he says. 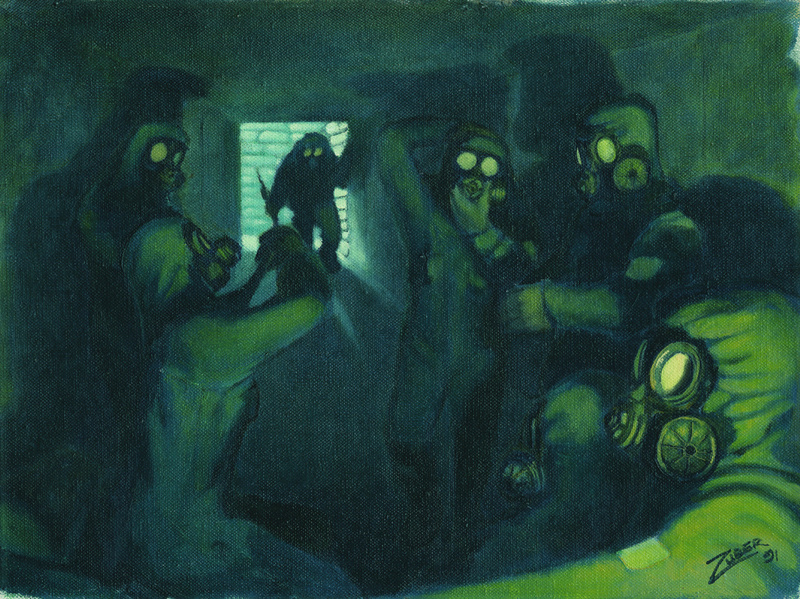 After the ground war began, an Iraqi prisoner of war was brought to the Canadian field hospital by British soldiers who had found him in a burned out bunker, semi-conscious and filled with shrapnel. Zuber was moved by the medical team’s insistence on saving the man’s right arm. In Canada, it would have been amputated. “In that part of the world, you have to eat with the right hand and you use left hand for cleansing yourself,” he says. “If for some reason you lose the right hand, you are really an outcast.” After the war, Zuber tried to find the man to give him a copy of the painting. He eventually learned the man died three days after the operation. 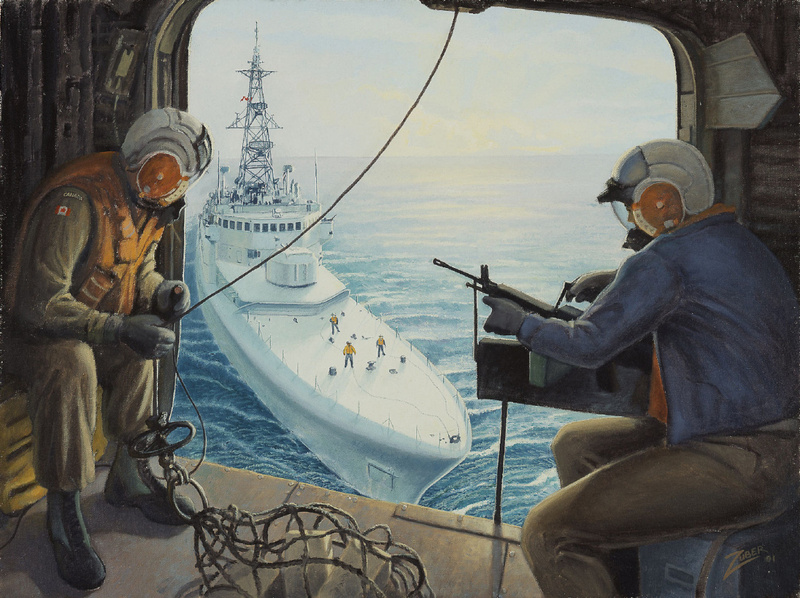 Ted Zuber, a veteran of the Korean War, was Canada's official artist during the Gulf War.